Max Factor Glossfinity nail polish in 85 Cerise was an impulse purchase but I love it so much that I recently bought a second bottle, as I’ve used up the first one. And that says a lot, considering how many nail polishes I have, and red ones in particular. 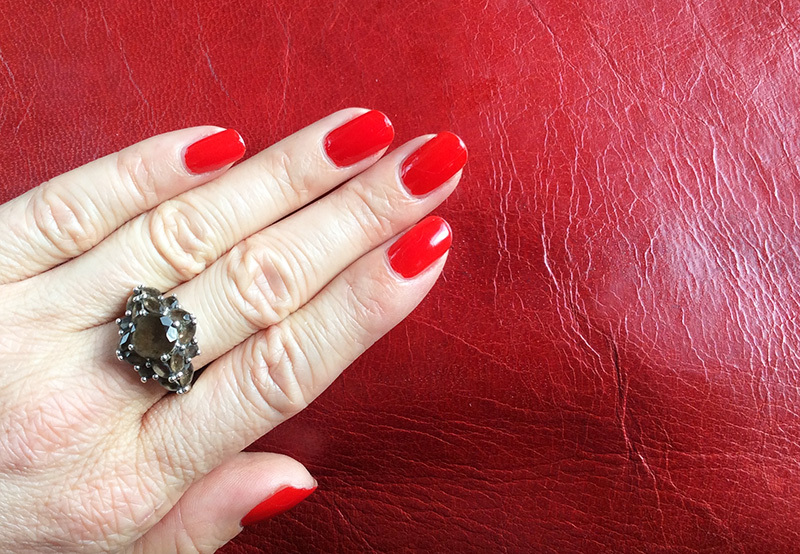 It is a gorgeous glossy warm toned red which looks opaque even with one coat. It is like the coolest accessory for your nails, it brightens up everything. As dramatic as it sounds – Cerise makes me feel incredible, and I never want to be without it.